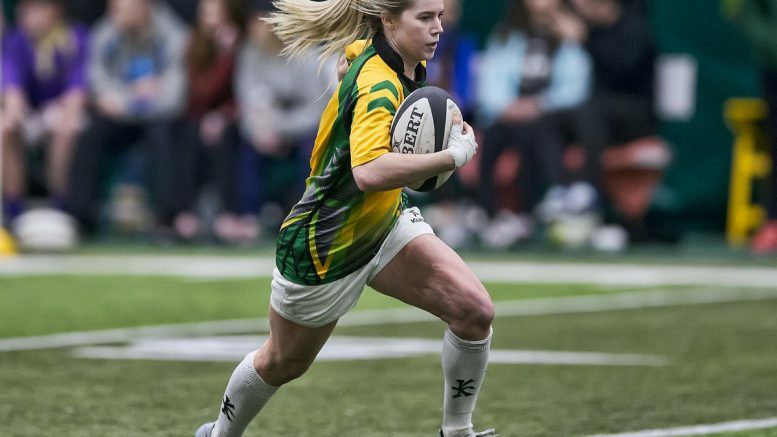 The University of the Fraser Valley women’s rugby sevens team kicks off its second season of play this weekend, as they travel to Edmonton to open the Canada West Women’s Rugby Sevens Series. The three-tournament series includes the Cascades’ first home event, Feb. 10-11 at MRC Sports Complex. The third and final Canada West tourney runs Feb. 24-25 at the University of Victoria. The Cascades’ Canada West debut in 2017 did not feature any victories – as a brand-new sevens-only program, it was an uphill climb competing against opponents who could draw players from their existing rugby 15s teams. For Year 2, Ross has built a deeper, more experienced group. The team lost Meghan Wellis, last season’s captain, due to a shoulder injury, but the Cascades get great veteran leadership from the likes of Mackenzie Fowler and Elyssa Phillipson. The UFV squad also boasts a collection of talented newcomers. A quartet of Cascades rookies – Shalaya Valenzuela, Alex Motoc, Ashlynn Smith and Mackenzie Braun – were part of the B.C. U18 women’s team which toured Ireland in August 2017. Ross also has high hopes for Jaylene Soegard, a graduate of Abbotsford’s Robert Bateman Secondary who began her post-secondary sports career playing basketball at Langara College and was a PACWEST all-rookie team selection in 2015-16. The Cascades also recently added Natalie Teteris, a B.C. women’s sevens team standout who brings next-level speed and finishing to the squad. This weekend’s tournament will feature the host Alberta Pandas, the defending champion Calgary Dinos, the UBC Thunderbirds, the Lethbridge Pronghorns and the Victoria Vikes along with the Cascades. A seventh team – a brand-new entry from Thompson Rivers – will participate in the latter two tourneys hosted by UFV and UVic. This season marks the second of a three-year partnership between B2ten, Rugby Canada, and Canada West to bring rugby sevens competition to campuses across the conference. B2ten and Rugby Canada’s partnership with Canada West is part of their ongoing commitment to producing the next generation of Olympians by growing the game at Western Canadian universities that share their collective goal of developing high-performance rugby programs here in Canada. Thanks to B2ten and Rugby Canada’s support, competing student-athletes will have access to scholarships as they pursue their athletic careers, including an opportunity to progress to the national team. 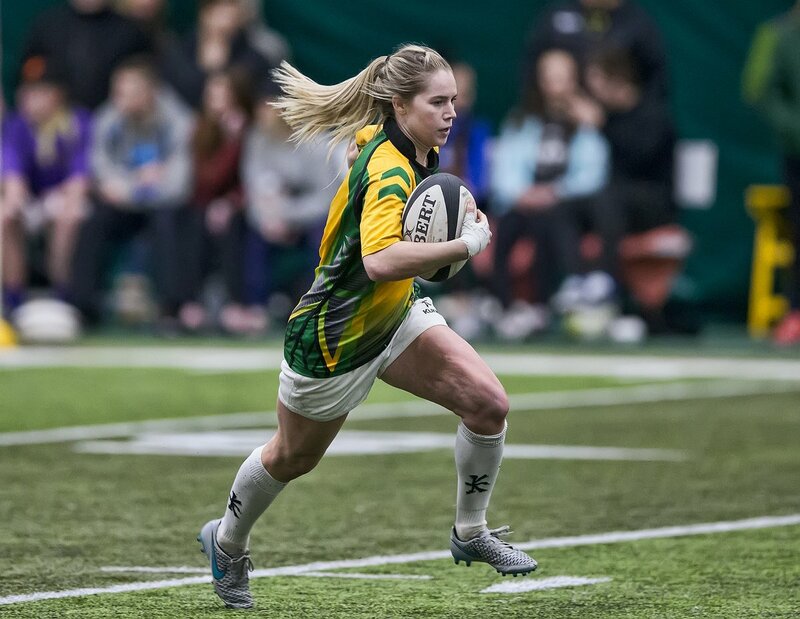 Be the first to comment on "Women’s Rugby Sevens: Cascades Off To Edmonton For Canada West Opener"